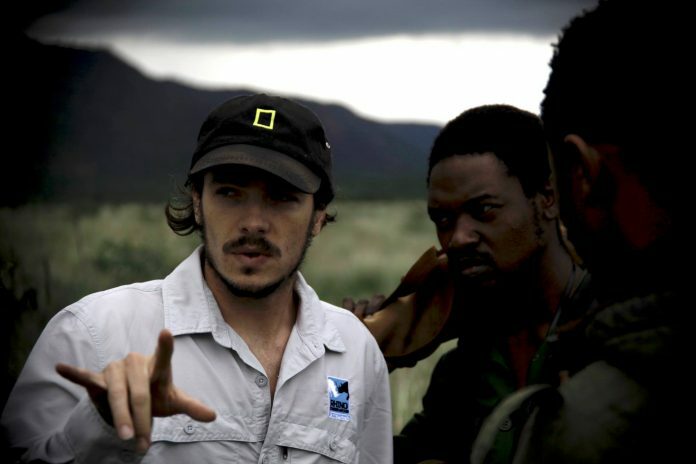 WAN Exclusive With “Sides Of A Horn” Filmmaker Toby Wosskow; This Film Is A Must-See! 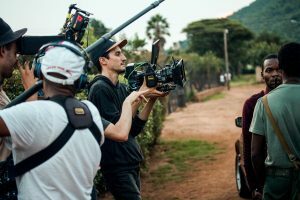 WAN had the opportunity to talk with filmmaker Toby Wosskow, who produced and directed the important short film, Sides of a Horn. The film was executive produced by Sir. 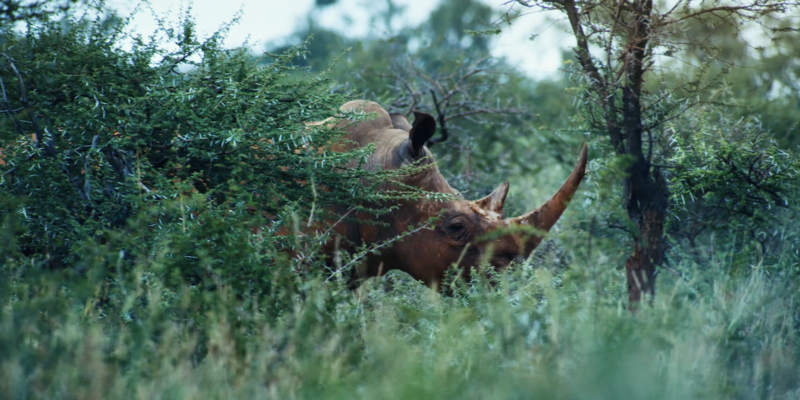 Richard Branson who describes the film as “poignant and powerful.” This film is the first to tell the story of how the poaching war in South Africa is tearing communities apart and threatening rhinos, which at current poaching rates are only 10 years away from extinction in the wild. 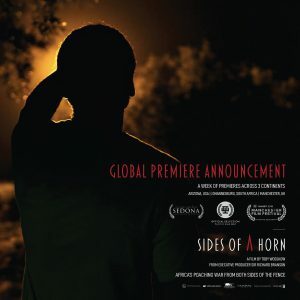 From debuting the short film’s new trailer, to announcing its worldwide film festival run, Sides of a Horn is gaining the global attention and traction necessary to inspire change. “I was travelling in South Africa in 2016, getting lost in the natural beauty of the game reserves and the wildlife who call it home, when we found a southern white rhino peacefully grazing. What struck me more than the animal’s beauty was that this scene could have been taking place 50 million years ago. I was looking at a living, breathing time machine, in a land that time forgot,” Wosskow told WAN, explaining that feeling was quickly tainted when he learned that this magnificent creature was being massacred to the brink of extinction. “Speaking to local community members living near the protected areas, I started to learn how the poachers and anti-poachers are often from the same communities. 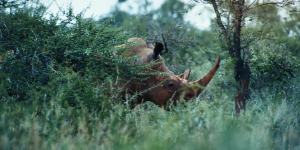 Friends and family members are killing each other, along with their precious rhino, to feed an entirely unnecessary demand on the other side of the world,” continued Wosskow. Following his trip, Wosskow continued to research the various aspects of the multi-billion-dollar illegal wildlife trade. That he did, in the form of a gripping drama instead of a documentary. Fortunately, Sir. Richard Branson, who immediately came onboard as the film’s Executive Producer after watching it, agreed. The Sides of a Horn team is now gearing up for their film festival run with a week of premieres across three continents; Arizona, USA, Johannesburg, South Africa, and Manchester, UK, between February 28th to March 8th. Details and tickets are available HERE with many more international film festival screenings to be announced in the coming weeks. 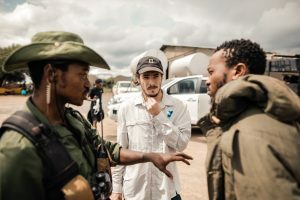 Wosskow also shared plans to release Sides of a Horn, which was originally funded on Kickstarter by 235 passionate wildlife activists, online through a global activation campaign with the support of the African Wildlife Foundation. The three-step campaign will: educate people about the reality of the poaching crisis, create a conversation around sustainable solutions, and call people to take action. Donations to this important campaign can be made HERE!